The last time we saw Ben G was back in March when Waka Flocka and DJ Whoo Kid were on the Turn Up Godz Tour. Ben G and BFAM have proven time and time again that they can turn up Columbia, Flocka or no Flocka. What’s new, is now they’ve made turning up Columbia into an act of philanthropy. On November 9th, 2015, Ben G and the campaign held a Flood Relief benefit concert at Columbia’s Music Farm. The event was sponsored by Proclaim Insurance Claim Consulting and hosted by Beasy Baybie and DJ Puff with HOT103.9. Travis Macdaniel from Music Farm Columbia confirmed that 588 people came out and raised $6,126.43. Doors opened at 8, and with DJ Pipes on the 1’s and 2’s the night took off. Around 9:40, Ben G hit the stage backed by his sax player and drummer. He created a moment of “peace and unity” for Columbia’s flood victims before starting with his memoir to Speaker Knockerz, “Growth”, and his Jake Troth remix of “On My Way”. After sneaking in a production by Sony Digital, BFAM’s Wally Fattz came on, followed by Jesse LeProtti and Nique the Geek for their singles’ debut performances. Ben G came back out with a new mix of “Activist”, a preview of Spanish Moss and Collard Greens, and then wrapped it up with “Dump My Ashes”. It was Waka’s turn and both he and Ben spent time turning up in the crowd for a good portion of the set. Waka piloted his set with “Wild Out” , “Turn Up God”, then performed his leading song on his upcoming album: Flockaveli 1.5, “Workin”. He brought back some crowd favorites after that including: “Wild Boy”, “Hard In The Paint” “Rooster in my Rari”, “For My Dawgs”, and “Turn Down For What”. I think it’s important to recognize when people go above and beyond the call of duty, and that’s what Ben G did on Monday night. It is truly a noble honor to be able to give back to your community by means of doing what you love. Make sure you download Ben G’s most recent EP: Spanish Moss and Collard Greens. 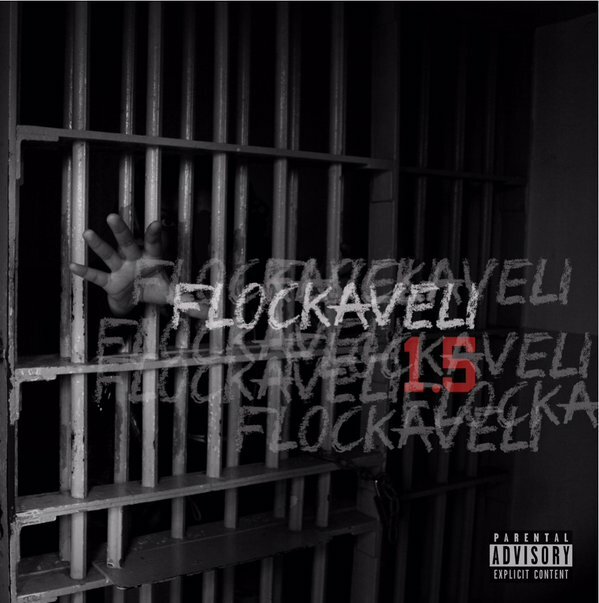 As well as Waka Flocka’s upcoming album Flockaveli 1.5 on November 19th at any online distributor.